Marie Kondo's book "The Life-Changing Magic of Tidying Up" and her KonMari method have been all over the internet and atop the bestseller shelves at all the local book stores for the last year or so. The book has certainly intrigued me for awhile now, long before I purchased it but I am so glad I finally did. Three years ago I bought a house and left my little one bedroom apartment behind. Even after several years of living on my own, I was still able to pack almost everything I own into a single car trip. Mind you it was a giant old Suburban with all the seats taken out of the back, but still. Over the years, I've slowly expanded into the luxury of all the newfound space in my wonderful house. I'm still having trouble coming to terms with the fact that I own so many grown-up things, like dining room sets and storage shelving. Who knew you could accumulate so much in such a short amount of time? In the introduction, Kondo introduces her KonMari method. She touts it as "not [just] a mere set of rules on how to sort, organize, and put things away" but also "a guide to acquiring the right mind-set for creating order and becoming a tidy person." Right away this intrigues me. I'm not naturally a neat person, always favoring tackling some new task over cleaning up after the last one. I know how to get my home into a nice state, but keeping there has been my challenge. Her method's promise to help me change my very nature is exactly what I was looking for. 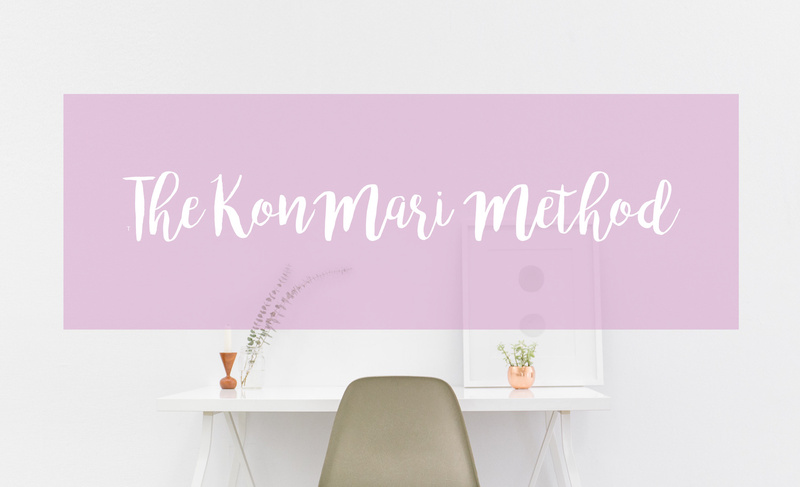 So let's dive into the basics of the KonMari method! Rule #1: Discard first, all at once. One of the biggest messages from Kondo's book is that we simply have too much stuff. Instead of constantly fighting it, arranging and rearranging it, trying to cram it into tight corridors, even if we hardly use it, just discard it! We will never be able to reach a sustainable state of tidiness until we are no longer holding onto all these unnecessary or unappreciated things. Kondo also advocates discarding in one big marathon event. She doesn't exactly mince her words about it either. To her, tidying a little every day is "doomed to failure." Rather than fighting an uphill battle slowly and over time, all while continuing to accrue more things, making discarding a special event helps to spur a change of mindset. The big purge will "deeply affect your mind and inspire a strong aversion to reverting to your previously cluttered state." Rule #2: Keep only what sparks joy. When you're embarking on your discarding journey, Kondo wants you to "be choosing what [you] want to keep, not what [you] want to discard." Instead of complicated systems for deciding what to throw away, you simply "keep only the things that speak to your heart. Then take the plunge and discard all the rest." For each item you come across during your discarding, hold it in your hands and ask yourself, "Does this spark joy?" If it does not, take a moment to appreciate it for having served you well until now, and then set it free. Rule #3: Discard by category, and in the right order. Instead of discarding everything in one location at a time, discard by category. Gather everything from the category in question into a single place to get a picture of how much you actually own. If you missed any items when gathering them all up, it's a sign that you probably don't need it. When you come across it later, discard it. Don't worry, she lets you ignore that rule if it was just in the laundry or in use! Rule #4: Designate a place for each thing. Once all the discarding is done, only then can we begin to put things into a designated place. Each and every item should be given a specific place to live which will make it easy to keep your home perpetually organized. 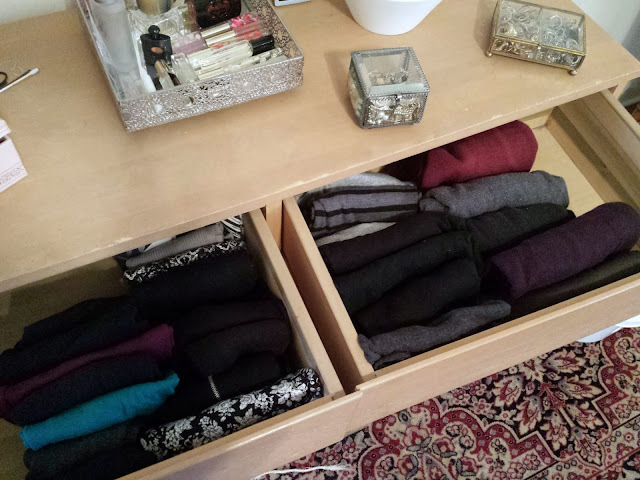 Kondo believes everything of the same type should be stored together in a single location. When storing items on shelves or in drawers, do not pile them but rather store them vertically so that everything can be seen at once. There's no need for fancy, commercial storage solutions. Instead, Kondo recommends plain boxes and shoeboxes which you probably already own. I wouldn't be me if I didn't take what I learned from a book and incorporate it into my Bullet Journal! This particular book was incredibly easy, because it all just boils down to a progress list. Even though Marie Kondo outlines a pretty specific category list and order, I needed to change it a bit so that it better fit me and my belongings. For instance, she seems to look at books much less sentimentally that I do. I, however, am the definition of a book lover. I have an entire room filled entirely with books and a single chair. It'll probably be easier for me to get rid of some of the more traditionally sentimental items than it will be any of my books! Meanwhile, I have next to no printed photographs in my house, so choosing which ones to keep and which to throw will be pretty easy for me. 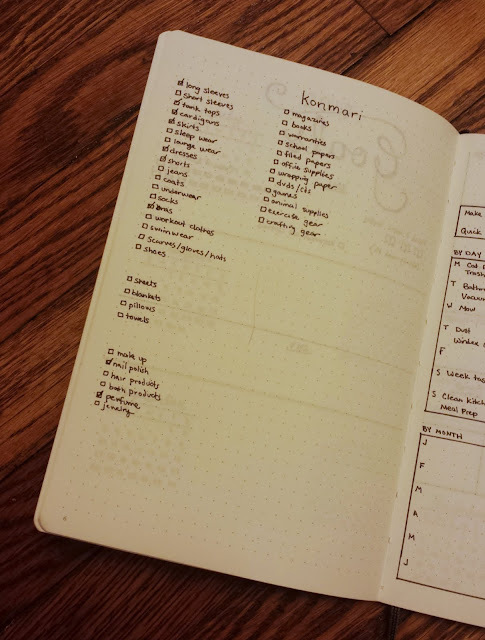 So much of this book centers around the idea of minimalism that it didn't feel right to make an elaborately detailed spread for my notes and progress checklist. They're both incredibly simple, using my natural handwriting, with no decoration. Even my reading notes are very minimalistic. 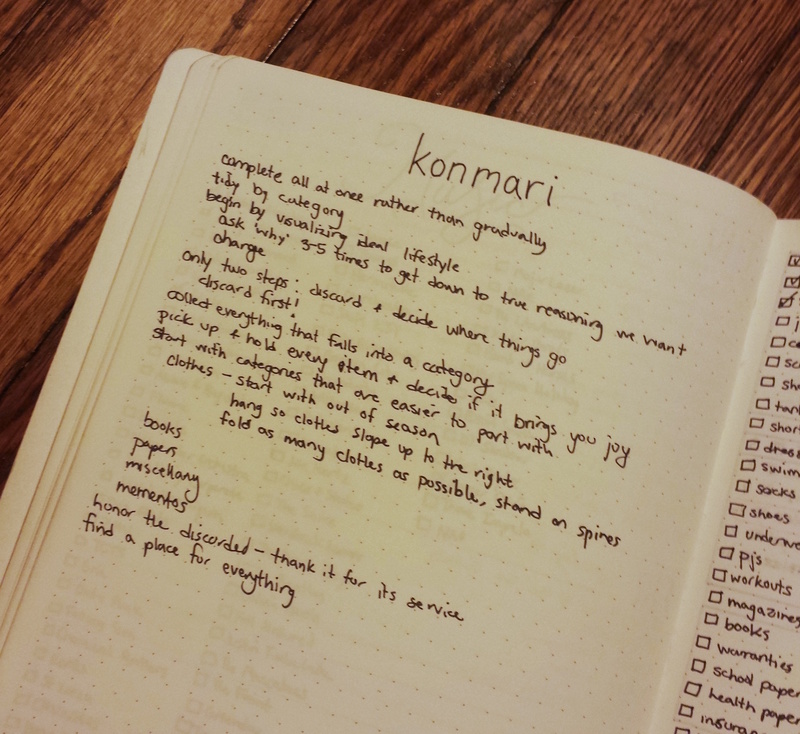 Slowly making progress on my list! Since I finished reading the book, I've made pretty good progress KonMari-ing my clothes. The only categories left are my socks, underwear, workout clothes, skirts and T-shirts. When I was building my checklist I was honestly surprised by how many different categories you could break down all your clothes into! It's been eye-opening seeing how much I've already gotten rid of. I didn't even realize how many items I had, yet alone how many items I still had around that I didn't even like anymore. Half of my office has been sacrificed in order to hold all the things I am going to donate. Goodwill is going to be very happy here soon! Meanwhile, drawers I've had trouble fitting all my clothes into before are suddenly plenty big enough. I hope this helps you to start the KonMari method in your own home! Happy discarding!